If so, you may have a condition called peripheral neuropathy and you should read the information below as it may make a dramatic change in your life. More than 20 million Americans suffer from peripheral neuropathy, a problem caused by damage to the nerves that supply our arms and legs. This painful condition interferes with your body’s ability to transmit messages to your muscles, skin, joints or internal organs. If ignored or mistreated, neuropathy can lead to irreversible health conditions. Neuropathy usually causes pain and numbness in the hand and feet. It can result from traumatic injuries, infections, metabolic disorders, and exposure to toxins. One of the most common causes of neuropathy is diabetes. 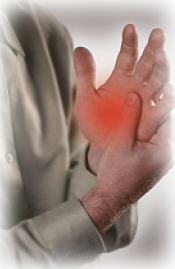 Peripheral neuropathy usually starts with numbness, prickling or tingling in the toes or fingers. The pain can be either constant or periodic and may spread to the feet or hands causing burning, freezing, throbbing and/or shooting pain that is often worse at night. Some types of peripheral neuropathy develop suddenly while others progress more slowly over many years. New Solutions FOR PERIPHERAL NEUROPATHY! Neuropathy affects every part of your life – walking, sitting and even sleeping! Maybe you’ve had multiple tests, only to find out no one has any idea what you might have. Maybe you’ve even been put on a drug with heavy side effects. If you are someone who deals with the agony of Peripheral Neuropathy, there is good news available. Even if you have seen doctor after doctor, had test after test, and tried every new drug available, PLEASE DON’T GIVE UP because there is a NEW ALTERNATIVE TREATMENT that is now available for many patients – even diabetics. Even though there is no cure available, this treatment is designed to eliminate or reduce the symptoms associated with Peripheral Neuropathy. At our clinic we’ve developed an approach for peripheral neuropathy we call the Total Solution™. It contains nutrition, detoxification (elimination of toxic chemicals from the body), gentle manipulation and innovative nonpainful electrical therapy with an apparatus called the Rebuilder®. 93.43% reported an overall level of relief at the conclusion of the treatments. 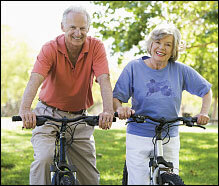 91% of respondents reported an improvement in their quality of life. Patients with pain (89%) reported an overall average of 55% reduction in their pain score of 3.4+/-2.0 (p<0.0001). 0% (no one) reported any negative side effects. We can help with diabetic neuropathy, chemotherapy induced neuropathy, idiopathic neuropathy and more. Until now, most people suffering with Peripheral Neuropathy had to choose between taking medication or simply learning to “live” with the pain and other symptoms. The Total Solution™ offers a new solution. It’s not just an improvement in the quality of your life, it’s getting your normal life back!